While they are usually called peacocks, the correct name for this bird species is peafowl. 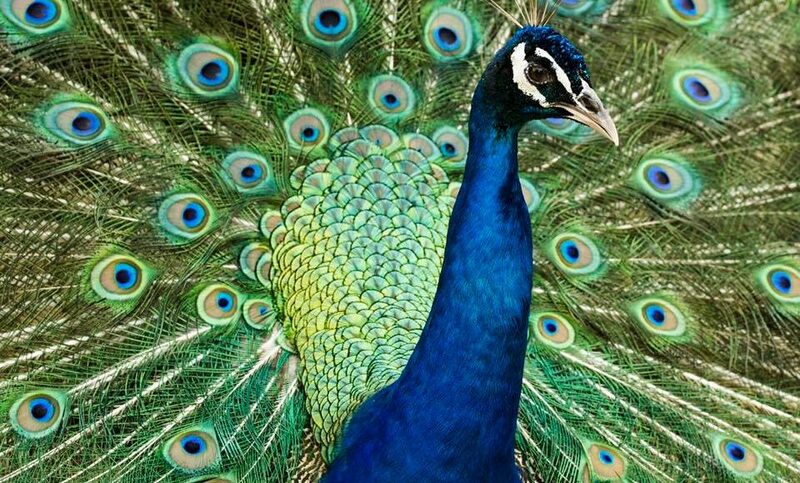 Peacocks is the name for male species, while female peafowl are called peahens. In addition to the name confusion, there are actually three different species of peafowl, Indian, Green, and Congo Peafowl. 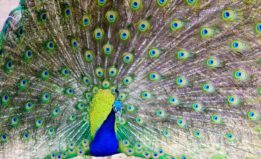 The Indian peacock is considered one of the most beautiful bird species in the world and has extremely bright, colorful feathers. 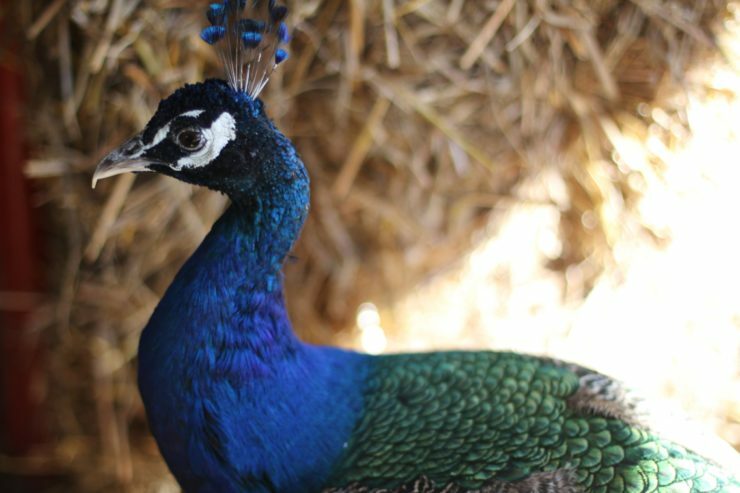 The peacocks who call Animal World & Snake Farm Zoo home are Indian peafowl! 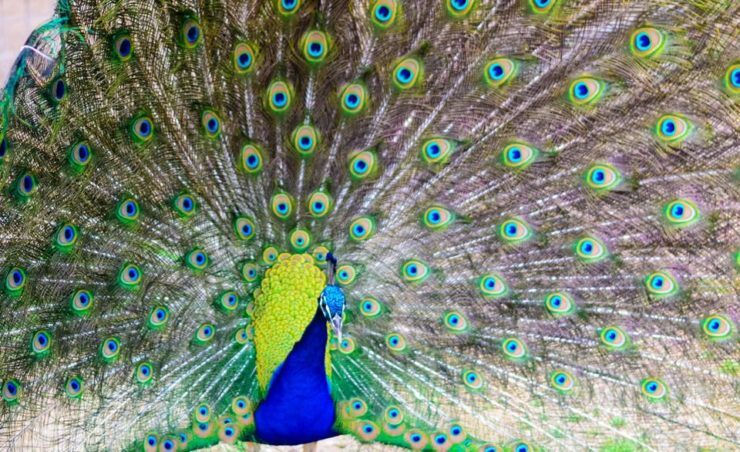 The peafowls diet consist of grain, insects, berries, leaves, seed, and even small reptiles and mammals! While their diet may be small, peafowl are certainly not. They are one of the largest bird species and the tails of adult peacocks can reach up to 6 feet long! 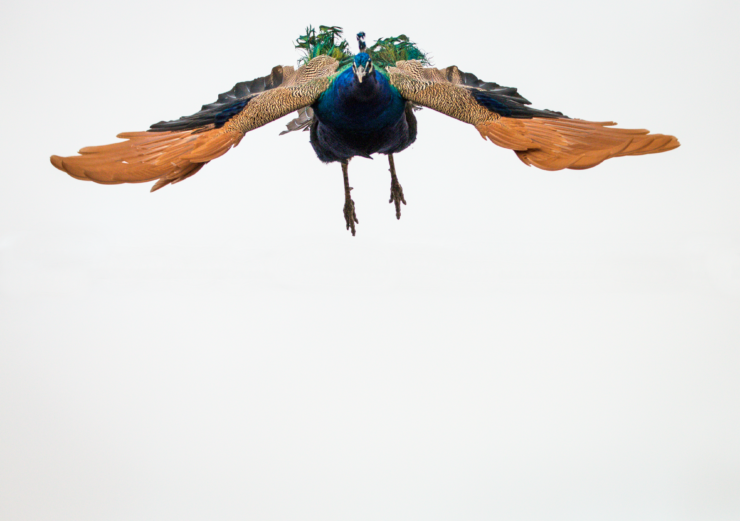 Even though peafowl are giant birds, they can fly! 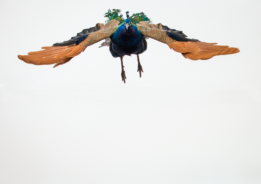 Though they do not fly very far and some spectators describe the peafowl flight pattern as more of a hop or short glide, they are still considered flying birds. In fact, peafowl in the wild prefer to roost in the tallest tree to avoid predators.